Clean up sidebar. Figure out how to move “favorites” icons to “About Me” page, or scrap them entirely. Brainstorm non-review post ideas – discussions, focus on illustrators, etc. I’m starting a little early because I am able to take today off, and since Mr. Bookwyrm will be off on Monday, we may decide to do something together that day. And besides, I’m excited to get some of this stuff taken care of, so why wait? [updated 1/19/15, 10:00 pm] I also started exploring statistics plugins, which isn’t on the list but is something I need. Click here for my wrap-up post. The Bookwyrm is back with a new design! Great going! You have already crossed one item off…I am itching to get started, too, so maybe I will begin later tonight. I started early also, I wont be able to do much tomorrow and I have to work Monday so I am trying to do as much as I can today so on Sunday I can do the rest! Good Luck with all your goals! I do hope you can get them all finished! I saw that you had started early and it inspired me to do the same! Good luck to you, too! Oh cross posting… I need to do that, prob. won’t get to it tho :/ Good luck on your list, I hope you get to everything! 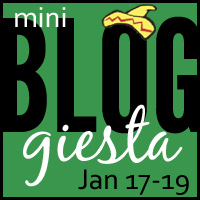 Steph recently posted…Dreaming of Books Giveaway Hop! I am so incredibly behind on crossposting! Nice to do list… you gave me some ideas of things I should be doing as well! This blogging thing could be a full time job. Looks like you’re making some good progress! You’ve been busy! Good luck getting the rest done or at least started. Thanks, Bea! Mr. Bookwyrm has to work this afternoon, so I’ll be working on the blog some more. Good for you! I have a busy weekend Sunday and Monday, so was trying to get as much accomplished today as possible between errands and household chores. (So, not much!) Congrats on writing and scheduling two reviews already! I’m still procrastinating on that item on my list (#1). Thanks, Chrystal! I’d like to say I made more progress on Sunday, but not so much – Mr. Bookwyrm was fixing my laptop so I was computerless. It’s working now, though, so I’ll try to squeeze in the rest of what I need to do tomorrow. glad you have a great hubby that can help you out! My husband is a programmer and loves to tinker with computers, so he’s my in-house IT guy! I know exactly what you mean about Windows 8; I’m dreading moving to it, too. I was afraid I wouldn’t have a choice, but Mr. Bookwyrm fixed everything that was broken except the SD chip reader, and I can always use an external reader if I need to. Great list–I love the title of your blog! A Modern Girl recently posted…It’s Bloggiesta Time (Again)! Thanks! I love dragons, and I have a huge book collection. So when I was brainstorming blog names, I looked over and saw my little dragon shelf-sitter, and “The Bookwyrm’s Hoard” just popped into my head.